I’ve always loved Lady Beetles, fascinating creatures and very cute. Since starting my vegetable garden they are even helping me out. About a week ago I stumbled upon quite a lot of aphids on some of my vegetables / plants. And that is where the Lady Beetles play an important role as beneficial predators. Lady Beetles love eating scale insects, mites and aphids. 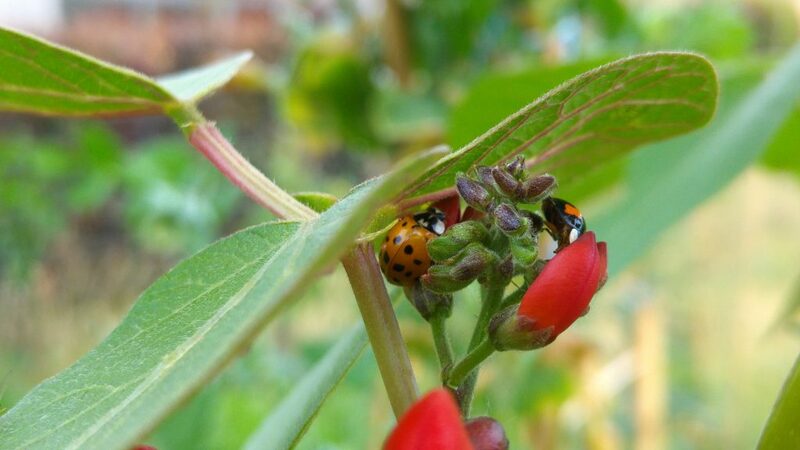 When the adult Lady Beetles are hungry they eat about 50 aphids per day. So I’m always welcoming Lady Beetles with open arms. Lucky me! All pictures belong to me, BFellicious, unless stated otherwise.